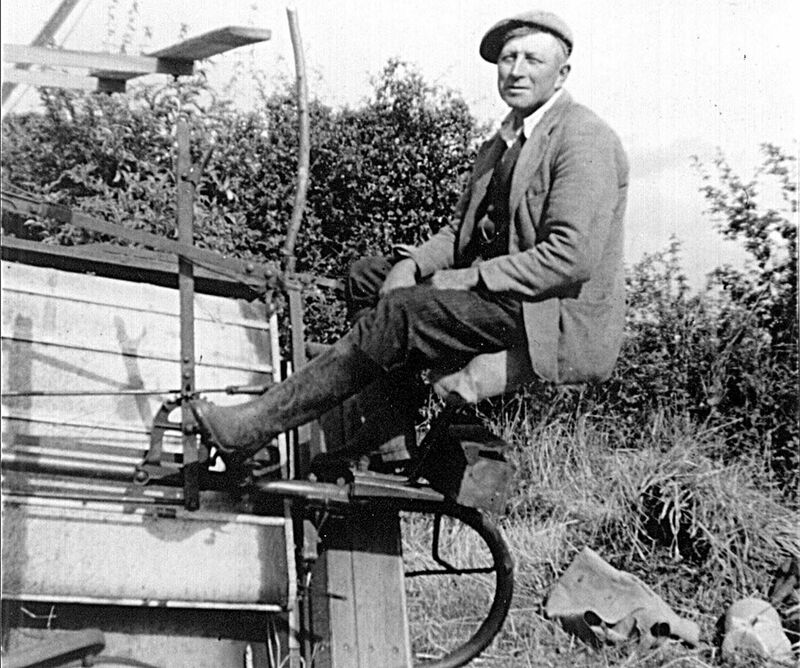 ItemBCA - 2019.1721 - Jack, Shadrack Buckingham in 1950 sitting on a binder. Item BCA - 2019.1721 - Jack, Shadrack Buckingham in 1950 sitting on a binder. Jack, Shadrack Buckingham in 1950 sitting on a binder. Jack, Shadrack Buckingham in 1950 sitting on a binder. Jack lived in Spring Cottages along Primrose Lane and worked for Jack Oliver at Backhouse Farm. He has grandchildren Helen Cadd, June Brewer and Richard Buckingham. "My earliest memories of Jack was about 1946 when he arranged for the family Pig to be killed and Dressed. Very impressive and typical of life in the 1940’s. Something that I very often incorporate when I give my talks on growing up in BAMPTON." He was the granddad of Helen Cadd, June Brewer, Richard Buckingham, Josephine Buckingham and Mark Harrison.